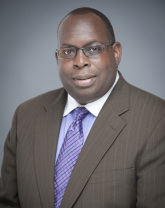 Edwin C. Darden, Esq., is President of the Education Law Association. He is director of Education Law and Policy for Appleseed, a non-profit legal justice center, where he focuses on parent involvement issues and gaining greater academic opportunities for students attending high-poverty schools. Darden is interracially married, a past President of the Interracial Family Circle of Washington, D.C., Maryland, and Virginia, and former Vice President of the national Association of Multi-Ethnic Americans. In his earlier role with the National School Boards Association he studied and wrote about the legal issues involved when schools assign students to maximize the benefits of racial and ethnic diversity. Darden’s commentaries have been published in the New York Times, the Washington Post and the NAACP magazine, Crisis; and he has appeared on NPR, CNN, Fox, and national newscasts. 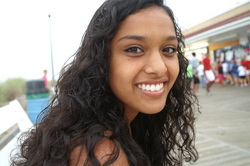 Shriya Adhikary is a student at Wheeling Jesuit University, double majoring in International Studies and Communications. 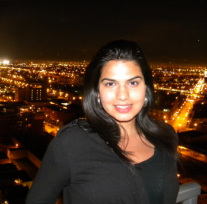 Adhikary immigrated to the United States from Nepal with her family in 1998, and since then has lived in Omaha, Chicago, and in Annandale, Virginia. She is the current News Editor of her college newspaper and hopes to pursue a career in the field of international correspondence. Adhikary is a firm believer in overcoming “impossibilities” and the idea that laughter is the best medicine. Dr. Jioanna Carjuzaa is an Associate Professor of Education at Montana State University-Bozeman. She holds a Ph.D. in Multicultural, Social and Bilingual Foundations of Education from the University of Colorado-Boulder. She has over twenty years teaching experience as a multicultural teacher educator, diversity trainer, and English for Academic Purposes instructor. At MSU she teaches multiple sections of Multicultural Education in addition to offering graduate courses in Social Justice in Education, Indigenous Research Methodologies, American Indian Studies for Teachers, and Teaching EFL/ESL: Second Language Acquisition Theory and Language Teaching Methodologies. Of Greek heritage, Jioanna is well aware of the challenges culturally and linguistically diverse students face when competing with native English speakers in demanding content courses. Jioanna is grateful to serve as the co-advisor to American Indian Council and has had the very enjoyable opportunity to team teach Powwow Leadership and Powwow Fundraising with Jim Burns numerous times. In addition, Jioanna serves as the facilitator for Indian Education for All professional development opportunities for MSU faculty, staff, and students. She resides in Montana with her husband Gilles and their two keeshonds, Lance and Arthur. Jesse Bethke Gomez has 19 years of executive experience, leading organizations in human services, University foundation, healthcare, health policy, employment, education, along with extensive senior executive leadership in business consulting, non-profit and University leadership. His book chapter describes his experience as president of Comunidades Latinas Unidas En Servicio (CLUES), a leading provider of behavioral health and human services for Minnesota’s Latino population and among the Top 25 Hispanic non-profit agencies in America (Hispanic Business Magazine 2007). Jesse currently serves as Executive Director for the Metropolitan Center for Independent Living, a major multi-million dollar non-profit organization serving the seven county area of metropolitan St. Paul. Jesse is among the “100 Most Influential Healthcare Leaders in Minnesota” (MN Physicians Publication Sept, 2008-2012), and the first Minnesota recipient of the Reconocimiento Ohtli Recognition from the Country of Mexico (2006). In 2011, he was one of 100 leaders who participated in the first Hispanic Policy Summit held by The White House. Jesse is a national Kellogg Fellow, an alumnus from the University of North Carolina–Chapel Hill as an Emerging Leader in Public Health, an alumnus from the Minnesota Executive Program for Advance Strategic Leadership from the Carlson School of Management, University of Minnesota, and a Presidential Scholar Recipient from Elizabeth Dole, then President of the American National Red Cross. He holds a Masters of Management & Administration degree specializing in Strategic Leadership from Metropolitan State University, where he was Alumnus of the Year in 2008; and a Bachelor of Arts degree from the University of Minnesota. Gomez also has composed and arranged a music score for orchestra entitled “Mi Vida Amor!” Jesse lives with his wife Raquel in Woodbury, Minnesota. Debra Fulcher is an educational consultant for the Office for Children where she co-coordinates the School Readiness Teams in Fairfax County at eight elementary schools. As co-coordinator, Debra is involved in the creation of the collaborative model, as well as facilitating and documenting the work of the teams. Debra serves as the Local Coordinator for the Virginia Star Quality Initiative in the Fairfax Coalition. 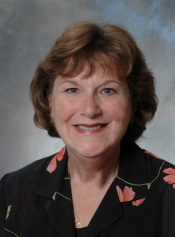 Debra is a part-time faculty member in the Graduate School of Education at George Mason University where she teaches early literacy and assessment and supervises interns working toward a Master's of Education and/or licensure in Pk-3. She serves as an advisor to early childhood education and special education graduate students. 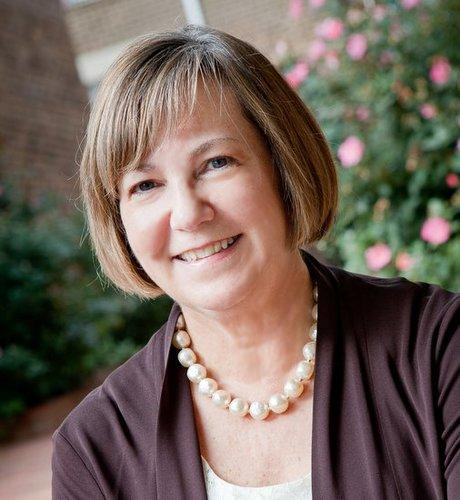 Debra worked for more than 30 years in Fairfax County Public Schools as an early childhood teacher and administrator. She served as the Coordinator of the Early Childhood and Family Services department where she served as the director of Early Head Start in addition to developing early childhood curriculum, assessments and staff development for teachers and schools. Debra and her husband, Terry, live in Herndon where they raised their daughter, Lindsay and continue to remain active in the community. Sean Grainger is a teacher and school administrator in Alberta, Canada. He holds a Bachelor’s Degree as an elementary generalist teacher, and a Master’s Degree (Presidential Honours) in Leadership focusing on school counselling. Sean is in his seventeenth year of teaching, having worked with kids from first grade to high school on a broad educational spectrum. Sean believes there is always a better way, and that change is not an outcome; it’s a process. He speaks from his personal perspective on the topics of resiliency and change, and also on behalf of the Alberta Teacher’s Association Corps of Professional Development Instructors on a wide variety of educational topics and issues. 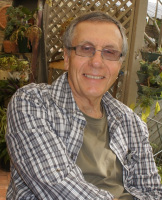 He is a sitting member of the Alberta Teacher’s Association’s provincial Diversity, Equity and Human Rights Committee. Sean writes on his blog, KARE Givers at www.seangrainger.com. Sean lives with his wonderful wife Bina, and two children, Avery and Wyatt. Young-chan Han immigrated to the United States from South Korea as a child with her family in 1973. Her career in education began in 1999 as an International Student and Family Outreach Specialist for the Howard County Public School System in Maryland. There, she worked closely with over 3000 immigrant families and refugees, developed a parent leadership institute for immigrant parents, and created services and programs benefiting immigrant students and families. In November 2007, Young-chan expanded her local focus to the state level where she currently works as a Family Involvement Specialist for the Maryland State Department of Education providing leadership, coordination and assistance to local school systems and schools on programs, projects, and activities that promote family engagement in schools. 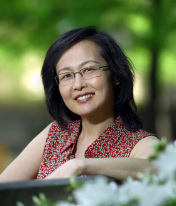 In her spare time, Young-chan serves as the President on the Board of Directors for a local non-profit FIRN (Foreign-born Information Referral Network), teaches kindergarten class and serves as a Children's Ministry Advisor for her church. She lives with her husband of more than 25 years and three children in Columbia, Maryland. Ashley Harris is the Senior Instructional Coach at YES Prep Public Schools in Houston, Texas. Her primary responsibilities include developing novice teachers through one-on-one coaching and creating and facilitating sessions on instructional strategies. As the Senior Coach, Harris is also responsible for providing professional development opportunities for the other Instructional Coaches. Harris began her career as an Assistant Buyer at a major retailer in the D.C. area but quickly realized her heart was in education. After two years in the private sector, she returned to Houston and joined Teach For America. She taught in the Houston Independent School District for four years before joining YES Prep as an Instructional Coach in 2007. Harris graduated from The University of Texas at Austin in 2001 with a B.A. in Plan II Honors and a B.S. in Marketing. She holds a master’s degree in Curriculum and Instruction from The University of Houston. She lives in Houston, Texas, with her husband and three children. Dr. Amineh Ahmed Hoti obtained her PhD from the University of Cambridge. She was the co-founder and first-ever Director of a major study Centre at Cambridge where she outlined a Cambridge University on-site course and taught an array of students, including Imams and rabbis. She organized several major conferences involving distinguished personalities such as HRH Prince Hassan of Jordan and the Archbishop of Canterbury, who launched a book for schools. She has given media interviews on both international television and in major national papers. She was a member of the body that advises the UK government on Religious Education (SACRE). She is the consultant editor of Valuing Diversity: Towards Mutual Respect and Understanding, which is an important learning resource for secondary school teachers and students from 11-17+. This book has been distributed to about 2000 UK and international schools, as well as schools in Pakistan and the United States. Dr Hoti's book, Sorrow and Joy Among Muslim Women, published by Cambridge University Press (2006), was nominated for the 2007 Kiriyama Prize. She is a fellow-commoner at Lucy Cavendish College, University of Cambridge, executive director of the Society for Dialogue and Action, an advisor to the Three Faiths Forum and patron of charities aiming for peace and world solutions, such as the UK Friends of the Bereaved Families Forum. Dr. Hoti has currently returned to Pakistan with her family with the aim of introducing top-quality, cutting-edge education to take steps towards helping the women and children of South Asia. Karyn Keenan is a second grade teacher at Passages Charter School in Chicago, Illinois. She has taught students from more than fifteen countries. Her passion is helping each of her students tell their unique stories. Karyn earned her B.A. in Elementary Education from DePauw University, as well as her certificate to teach English Language Learners through National Louis University. As a SMART Exemplary Educator, Karyn works to improve instruction through the use of an interactive whiteboard. Raised in Wilmington, Delaware, Karyn now lives in Chicago where sunny summer days at the beach outweigh the long winters. Nardos King is the principal of Mount Vernon High School in Fairfax County, Virginia. In October 2007, she was honored as First-Year Principal of the Year in Fairfax County Public Schools. 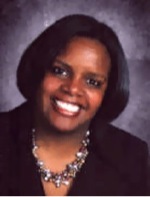 Nardos’ career at Mount Vernon High School began in January of 1996 as the Finance Technician, then serving as an instructional assistant, teacher, administrative intern and sub-school principal until her appointment as principal in July 2006. She graduated from Virginia State with a B.S. in Business Information Systems. She holds a Master of Arts Degree in Special Education from George Washington University and a Masters of Education Degree in Educational Leadership from George Mason University. Nardos is currently working on her Doctorate Degree at Virginia Tech. Nardos and her husband Stan, a retired Army Colonel, are the proud parents of Chad and Tracy, both pursuing college degrees. She enjoys spending time with her family and friends, her book club and participating in community service through her sorority, Delta Sigma Theta, Inc.
Eileen Gale Kugler is a global speaker and consultant strengthening diverse schools, worksites, and communities. She breaks through dangerous myth-perceptions and shares strategies for building on the unique opportunities that diversity brings. Eileen is author of the award-winning Debunking the Middle Class Myth: Why Diverse Schools are Good for All Kids, called “a community and civic blueprint for the 21st Century.” Eileen’s articles and commentaries appear in wide-ranging publications, including USA Today and the Washington Post, Educational Leadership, Phi Delta Kappan and Education Week. She has been quoted in hundreds of publications and is a frequent broadcast guest on national and regional media. Her family’s volunteer work in South Africa, including creating a 25,000-book library for a rural school, was featured in The Washington Post and on Voice of America television. Eileen lives with her husband Larry in Fairfax County, Virginia, where their two children grew up. 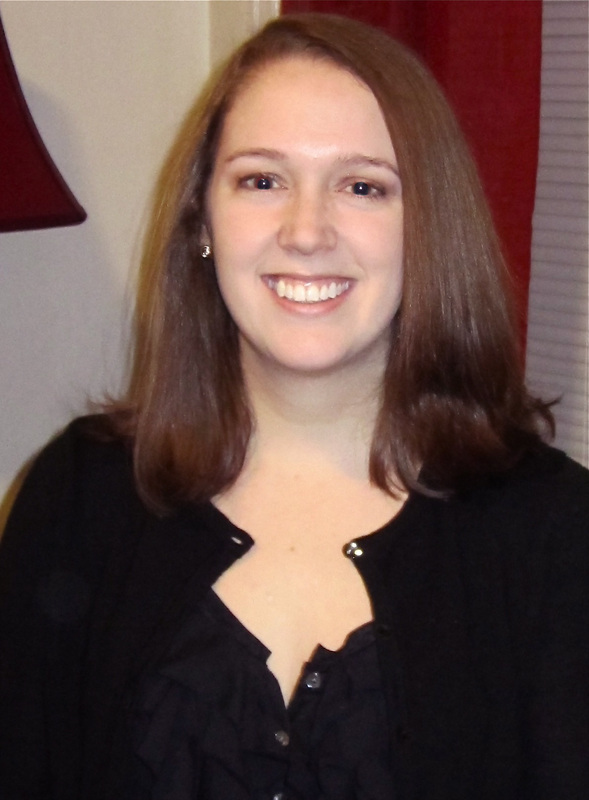 Sara Kugler is a reading teacher with Bailey’s Elementary School for the Arts and Sciences in Fairfax County, Virginia. Prior to that, she was a literacy staff developer at the Reading and Writing Project at Teachers College, Columbia University, leading workshops on balanced literacy and critical literacy throughout New York City public schools as well as in Florida, Illinois, California, Minnesota, and Gothenburg, Sweden. She has taught in multiple elementary schools in Fairfax Country, Virginia, and in Brooklyn, New York, co-leading one school’s Diversity Committee. Sara has also volunteered as a literacy staff developer in rural South Africa. She earned her master’s degree in Reading and Writing Education from Teachers College, Columbia University. 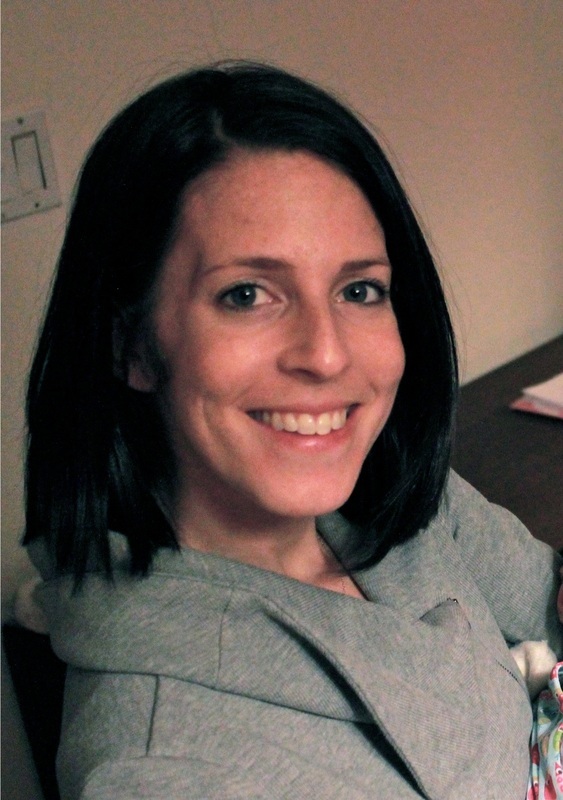 Sara lives with her husband and daughter in Fairfax County, Virginia. Graciela Rosas is an ESL, Biliteracy, and Spanish teacher at Pacific Beach Middle School, part of San Diego Unified School District. Ms. Rosas has earned an M.A. in Education and a B.A. in Political Science, and will begin the Administrative Credential program this year. She has both a Multiple Subject and Single Subject Credential and has taught Kindergarten through eleventh grade. She has been an educator since 2006. Most importantly, she is a Mexican-American who was also a language learner, and she has found her calling and passion for helping struggling Long-Term English Language Learner students. She lives in San Diego with her son, Erizen and her two dogs. Jeff Scanlan is a primary (elementary) school teacher at Wellington Point State School in Redland City which is an outer suburban community of Greater Brisbane in the state of Queensland, Australia. Jeff has bachelor’s degrees in Arts, Divinity and Education and two Master’s degrees in Education. He is also a trained school counselor. He has taught with the Education Department of Queensland for all but three of the last 42 years. He has a passion for including the whole family in the schooling of young people which he believes makes for a fuller education. Jeff lives in Redland City and is married to Christine. They have five adult children and four grandchildren. Howie Schaffer is a Vice President at Cook Ross Inc. He is a respected speaker, trainer, and facilitator on cutting-edge topics in diversity, inclusion, and cultural competency. For more than a decade, Howie served as the Public Outreach Director at Public Education Network (PEN) in Washington, DC. He created and edited the award-winning PEN Weekly NewsBlast. 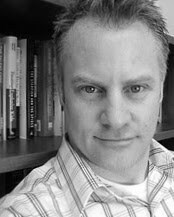 Howie has an undergraduate degree in communications from Cornell University and a graduate degree in philosophy of education from Teacher’s College at Columbia University. He is a proud husband and the father of two dazzling sons. Roni Silverstein is principal of Fallsmead Elementary School in Montgomery County Public Schools (MCPS), Maryland. She recently returned to school-based leadership after serving as the Director of Elementary Leadership Development for MCPS, coaching and designing professional development for over 275 aspiring MCPS administrators. In that role, she developed the spiraling curricula for assistant principals that include race and equity, professional growth systems and evaluations, and Baldrige processes. Prior to joining the central office, Roni served as principal of Clopper Mill Elementary School in Germantown, Maryland, for four years. During her more than thirty years of education experience, she has also served as special education coordinator and teacher. Her professional experiences include developing and conducting needs assessments and designing and delivering targeted staff development to teachers, assistant principals, elementary and secondary principals, directors and central services administrators. In addition, Roni has redesigned and taught the Data Driven Decision Making Course for MCPS administrators, presented “Are you Data Rich and Analysis Poor?” at the National Staff Development Conference, and presented at the U.S. Department of Education Office of English Language Acquisition (OELA) Summit V, “Turn Data into Knowledge, Knowledge into Action.” Roni and her husband Robert live in Montgomery County where they raised their three children. Dr. Andrea Sobel, is an educational consultant, and co-director of National Educational Consulting Services, LLC. Andrea consults with Office for Children where she co-coordinates the School Readiness Teams in eight school communities in Fairfax, Virginia, Andrea is involved in the creation of the collaborative model, as well as facilitating and documenting the work of the teams. Andrea is a part–time faculty member in the Graduate School of Education at George Mason University where she teaches curriculum, assessment and family courses for early childhood and early childhood special education candidates. She coordinates the field-based university support for the Teach for America early childhood cohort through George Mason. Andrea serves as a “master trainer” for the state of Virginia’s Quality Initiative. She trains raters and mentors around the state in the quality improvement system. Finally, Andrea continues to provide professional development training in the Washington DC metro area that supports the creation of high-quality programs with an emphasis on enhancing diverse learning communities and promoting strong, effective family-school partnerships. Andrea currently lives in Annandale, Virginia, with her husband Mike, where they raised their two children, Gina and Eric. Stacie Stanley is an elementary school principal in a suburban school district just outside of Saint Paul, Minnesota. Stacie has earned an M.A. in Education, a postgraduate certificate in K-12 Administration and recently is working on her dissertation to complete her doctorate degree. She has served in a variety of education roles including that of teacher, math specialist, curriculum and staff development specialist, and integration and equity program director. She also serves as an adjunct faculty member at Hamline University. Stacie’s African-American heritage fuels her fervor for educational equity. She currently lives in the Twin Cities with her husband and college-age children.